EURUSD pares some of its gains made yesterday and lost nearly 40 pips from high of 1.1 339. It is trading slightly below 1.1300 level. A new round of trade talks between US and China to happen in Washington today and Trump also extended time line by another 60 day for the completion of trade talks. The pair hits low of 1.12790 at the time of writing after weak German ZEW economic s and is currently trading around 1.12973. German ZEW sentiment index dropped to -13.4 versus -14.0 expectations and -15 previous month.It is leading indicator for the German economy similar to IFO. 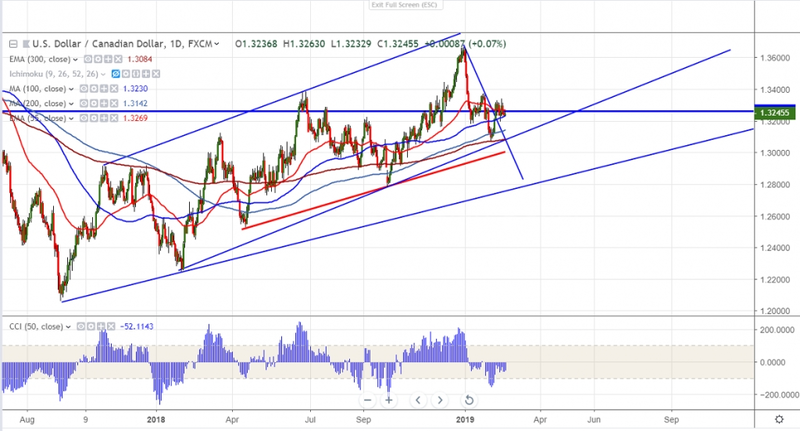 The near term resistance is around 1.13415 high made on Feb 13th 2019 and any break above will take the pair to next level till 1.1368 (20- day MA)/1.1386 (50- day MA)/1.1435. On the lower side near term support is around 1.12670 and any violation below targets 1.12340/1.12150. It should break below 1.12150 for further weakness. It is good to buy on dips around 1.1260-625 with SL around 1.1230 for the TP of 1.13830/1.1400.